Zhenisnur Ayatkhanuly with children in a house in the suburbs of Almaty. Photo from the personal archive of Zhenisnur Ayatkhanuly.After its continuing persecution of Uyghurs, the Chinese authorities have now turned their attention to ethnic Kazakhs living in the Xinjiang Uygur Autonomous Region (XUAR) in northwest China. There are few details available, but Radio Free Asia has reported that up to 500 Kazakhs can be arrested in a week and that several tens of thousands of families have had their homes searched. Kazakhstan’s Ministry of Foreign Affairs has, however, taken very little interest in both Kazakh citizens and Chinese Kazakhs. Chinese law enforcement agencies have been persecuting ethnic Uyghurs since 1989, when Uyghurs held protests in several cities in the XUAR following Tiananmen Square. With almost 250,000 Uyghurs live in neighbouring Kazakhstan, the Kazakh government found itself an unwilling participant in Uyghur affairs. 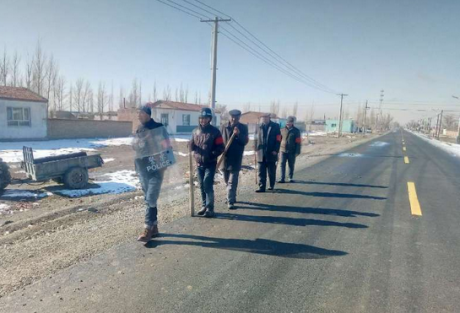 Despite protests from human rights activists and the Office of the United Nations High Commissioner for Refugees (UNHCR), since 1999 Kazakhstan, under pressure from China, has turned three Uyghur asylum seekers over to the Chinese authorities officially – and six unofficially. Some simply disappeared, only to be discovered in Chinese prisons. In 2000 and 2001, Uyghurs from China were involved in several shootouts with police in Almaty, Kazakhstan’s largest city – in two cases, over fears of being forcibly returned to China. Kazakhstan’s security services still keep the Uyghur diaspora under close observation, suspecting that it might lend aid to its compatriots across the Chinese border and that Kazakh Uyghurs might start spreading separatist ideas. But since 2017, other ethnic minorities, including Kazakhs, have been subjected to various kinds of persecution in the XUAR, and now the Kazakh government finds itself in a predicament: its inaction is drawing criticism from both its own citizens and repatriates, while it is significantly financially dependent on Chinese investments and loans. On 6 April 2018, a woman living in Almaty made several calls to the Kazakhstan International Bureau for Human Rights and Rule of Law (KIBHR) NGO. 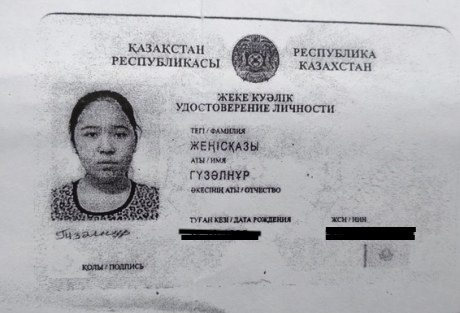 An ethnic Kazakh who was born in China but has Kazakh citizenship, the woman complained that she had been summoned to the city’s Prosecutor’s Office, where she was ordered to stop “drawing attention” to the situation of ethnic Kazakhs in China. She had suddenly lost contact with relatives still living across the Chinese border, and her children, moreover, were under pressure at school: the school’s director had demanded that she stop complaining. 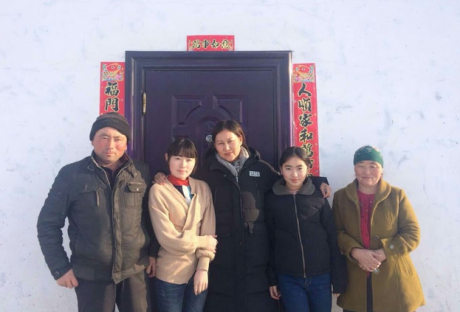 A Chinese émigré living in Enbek, a village not far from Almaty, Zhenisnur Ayatkhanuly received Kazakh citizenship more than ten years ago. Every day, as he leaves for work, he has to lock his two small children up in their home: he has been bringing them up alone for two years after his wife disappeared. A copy of Gozalnur Zheniskazy's Kazakh identity card. Photo from the personal archive of Zhenisnur Ayatkhanuly.Zhenisnur’s wife Gozalnur Zheniskazy, 23, moved to Kazakhstan with her parents when she was 10 years old as part of a programme to resettle ethnic Kazakhs in their historical homeland, and received a Kazakh passport when she came of age. In mid-2016, Gozalnur went to visit relatives in China and never returned, and it is only recently that her family discovered from relatives in the XUAR that she was in a detention camp in the region, although its precise location was unknown: her passport had been confiscated and she had been sent to a “political re-education centre”. Zhenisnur has written to Kazakhstan’s Ministry of Foreign Affairs but has had no response. He is appealing to the Kazakh government to help release his wife. 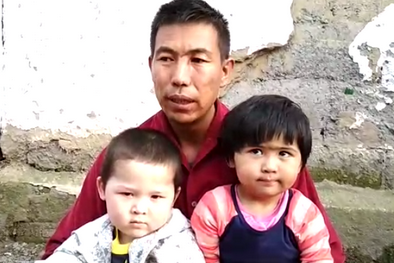 Zhenisnur has no idea how and why Gozalnur ended up in a “re-education centre”, but believes that his wife could have done nothing wrong in China. “She went to China in 2016 and hasn’t returned,” he tells us. “A year and eight months have passed since then and we have had no word from her. We’ve just recently found out that she’s in a re-education camp. I’m begging our government, our Ministry of Foreign Affairs, to return the mother of my children. We’re living in a kind of hell at the moment, it’s particularly hard on the children. I lock them in the house every morning and go off to work. It’s a real strain to have to leave them like that, but I have to work. And I haven’t even got a permanent job. Gozalnur’s story is far from unique: although many people are afraid of telling anyone, more and more people have been openly admitting that family members have disappeared in China. 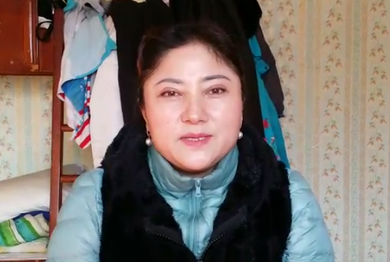 Jamilya Maken, who lives in the Almaty region, is in a similar situation: her husband, who was born in China but was promised speedy Kazakh citizenship, travelled to China after an insistent request by the Chinese authorities in 2016, but failed to return. In China, he was ordered to explain why he had moved to Kazakhstan and applied for Kazakh citizenship. He couldn’t have refused to make the journey to China, for fear of making life difficult for his relatives there. One million people out of the 18-million population of Kazakhstan are repatriates, and 14% of those are Kazakhs from China. The issue of repatriates from the XUAR suddenly surfaced in October 2017, when about 250 people whose ID papers weren’t in order faced threats of deportation to China. After that, the repatriates dropped their veil of silence and began to demand some action from the Kazakhstani government to halt the persecution of their fellow-countrymen and women in China. At the end of last October a group of repatriates attended a meeting at Kazakhstan’s Ministry of Foreign Affairs’ offices in Almaty. That same month. 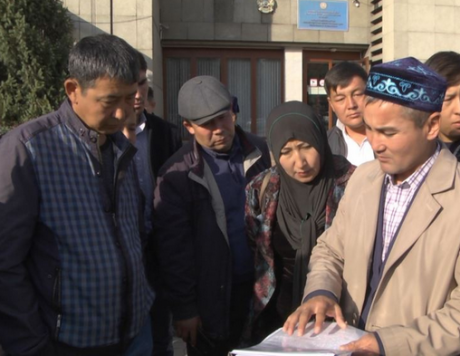 Nurlan Kylyshbayev, a deputy of the Senate, Kazakhstan’s upper house of Parliament, made an official request to the Head of Government to confirm whether reports that ethnic Kazakhs had been persecuted in China were true. At both of these high level meetings, the issue concerned at least 47 relatives of Kazakhstani repatriates (some with Kazakhstani citizenship, some with Chinese) who may have been imprisoned or had disappeared. In February 2018, Kazakhstan’s Ministry of Foreign Affairs nevertheless sent a note to its Chinese counterpart concerning the harassment of ethnic Kazakhs resident in China. This information was not, however, made public by the Ministry, and the Kazakh public only found out about the note from the TRT Turkish TV channel. 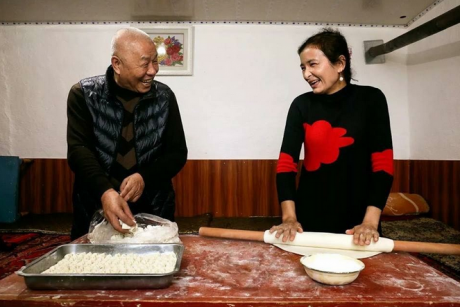 The photographs shown by Serikjan Bilash, an activist from the Young Homeland Volunteers organisation, which offers support to Kazakh repatriates from the XUAR, show the happy faces of Chinese Kazakhs as they do housework, cook meals and sit together around a dinner table. You can’t immediately tell that it’s not real. But as Bilash explains, the thing common to all the photos is the fact that the men in these Kazakh families are Han Chinese. The Chinese government plants them in ethnic Kazakh families, so that they can teach them the Chinese language and traditions and “help” them assimilate in China. The real husbands and fathers of the families are in political re-education centres – correctional facilities where conditions are more like those of Russian prison colonies. Behind this is an attempt on the part of the Chinese authorities to halt the growth of Islam in the region and limit nationalist tendencies within its communities. Serikjan Bilash, who is himself a repatriate from China, tells us that at least 10 Kazakh nationals are arrested in China without any reason. In an interview with the Kazakh language service of RFE/RL, Kayrat Samarkin, an ethnic Kazakh who was born and brought up in China, told of how he landed in a re-education centre when he travelled to China in 2017. Samarkin had gone there to sell his house and land, instead finding himself in a prison camp in the XUAR. Before that, he spent three days under interrogation. He didn’t manage to figure out what he was being accused of, though that didn’t stop him being sentenced to between three and nine months of internment. According to Samarkin, there are 5,700 detainees in the camp where he was sent: over 3,000 of them Kazakhs, 2,000 Uyghurs and 200 Dungans (members of a group of Muslim people of Chinese origin). There were just two Kazakh citizens among them. He was released prematurely after a suicide attempt and given permission to go to Kazakhstan, where he was immediately given citizenship. Kazakhstan’s President Nursultan Nazarbayev is the unofficial leader of the World Kurultai of Kazakhs, a global gathering of Kazakh diasporas that takes place every five years. The most recent Kuruktai took place in Astana in 2017, and at it Omirkhan Altyn, an ethnic Kazakh from Germany, raised the issue of the Chinese Kazakhs. Chinese policemen patrol a Kazakh village in Xinjiang. Photo via Serikzhan Bilash.Nazarbayev promised to follow the matter up through the Ministry of Foreign Affairs, and “devote the appropriate attention to it” if necessary. Kazakhstan, like China is a member of the Shanghai Cooperation Organisation (SCO), founded in 2001 by the leaders of China, Russia, Kazakhstan, Kyrgyzstan and Uzbekistan. The organisation’s main purposes are to strengthen stability and security over the wide area that encompasses its members and to fight terrorism, separatism, extremism and drug trafficking. In terms of security, agreements within the SCO may sometimes take precedence over other international treaties, but the subject of security and the war on terrorism and extremism have priority over the economic and cultural links that are also seen as priorities in OSC documents. The very name of the organisation presupposes China’s leading role in it. It’s completely possible that the Kazakh public has reacted to the plight of Chinese Kazakhs due to Kazakhs’ own ambiguous attitudes to repatriates. The latter often live close together, do not actively associate with local residents, including due to language difficulties. Kazakhstan is still a widely Russophone country, and repatriates often don’t know Russian. Nazarbayev, who initiated the repatriation programme in 1991, stated in 2010 that “repatriates haven’t worked hard enough for the good of the country” and that “they have made no contribution to the development of the country’s economy”. In 2011, in western Kazakhstan, police forces violently suppressed a year-long strike by oil workers in the town of Zhanaozen. The oil workers demanded a review of wages, including additional payments due to them as oil workers. Back then, Timur Kulibayev, who was head of the Samruk Kazyna sovereign wealth fund and Nazarbayev’s son-in-law, said: “Repatriates from Turkmenistan and Uzbekistan are moving in whole villages to Zhanaozen. In their own countries, these people were, let’s say, second-class.” The last phrase referred to the fact that repatriates were often involved in low-qualified work. The charges, as it turns out, are often different: local Kazakhs are accused of belonging to extremist religious groups, whereas Chinese Kazakhs, who resettle in Kazakhstan, are charged with espionage. Kazakh repatriates from China, concerned about the fate of their relatives, visit Kazakhstan's Foreign Ministry in Almaty. Image: Nurtay Lakhan. All rights reserved. But it’s clear that anti-Chinese attitudes in Kazakhstan are strong even without this problem. Over the past decade, local workers and Chinese staff have come into violent conflicts at oil extraction sites, developed by Chinese companies. In 2010, in Aktobe region, six people were wounded (two of whom received gunshot injuries) in a fight between Chinese and Kazakh workers at the Northern Truva site. In 2012, four people were wounded in a conflict between workers at the Atyrau oil refinery. And 31 people were injured in a mass brawl in the cafeteria of a Kazakhmys ore enrichment plant in east Kazakhstan. In 2016, Kazakhstan witnessed a wave of protests after the authorities declared plans to reform the land ownership system, permitting foreign citizens to own land in the country. Opponents of the legislative changes believed that the chief interested party in this reform was China, triggering protests that ended in a moratorium on land reform. China is one of top five lenders to Kazakhstan. According to National Bank figures, Kazakhstan owes China between $12-13 billion. Moreover, the two countries are now creating a $300m investment fund for projects in Kazakhstan. Figures put the percentage of oil extracted in Kazakhstan that is sent to China between 23%-40%. In China, Kazakhs are the 16th largest ethnic group (1.5m) out of 55 national minorities, and 95% of them live in the Xinjiang Uyghur Autonomous Region. Until recently, Chinese Kazakhs did not report instances of persecution, instead performing the role of an ethnic minority which lived in harmony with Han Chinese while still maintaining its traditions. But the situation has changed. There’s up to 120,000 people in re-education camps in Xinjiang – mostly Uyghurs – but there’s also Kazakh prisoners there. In Kazakhstan, many repatriates hope that their historical homeland will find the courage to try and get Kazakh citizens released – and to ensure China stops its campaign against Chinese Kazakhs – even if it hurts Astana’s economic and political interests.